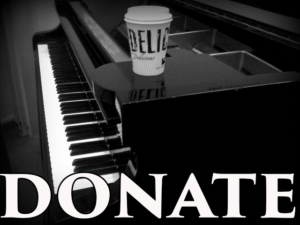 Learn how to play piano while playing Christmas music! 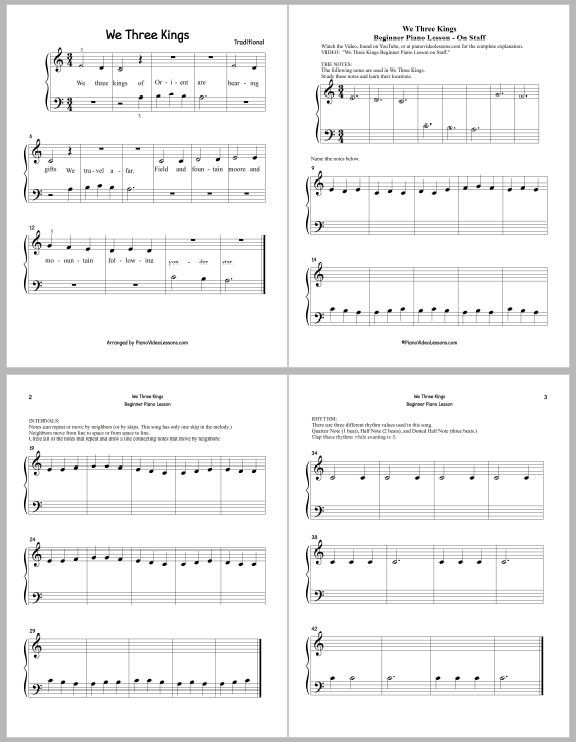 Today we will learn a simple beginner version of the melody of We Three Kings. 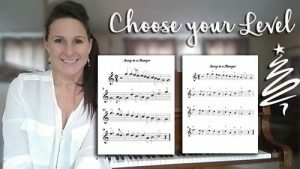 The first 14 minutes of this video teach you the notes and rhythms needed to play We Three Kings, and then the remainder of the video teaches you to play the song using the information you learned. We Three Kings, on the grand staff uses both right hand and left hand, but not played simultaneously. 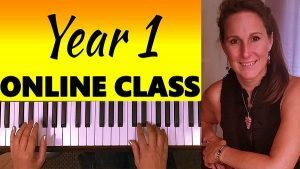 In this lesson you will learn/review 6 notes in the treble and bass clef, rhythms in 3/4 time, and the concept of repeating notes and neighbors, all while learning to play We Three Kings. The pre-requisite for this lesson is 1. Piano Key Names and 2. Piano Finger Numbers. Use the printed materials. 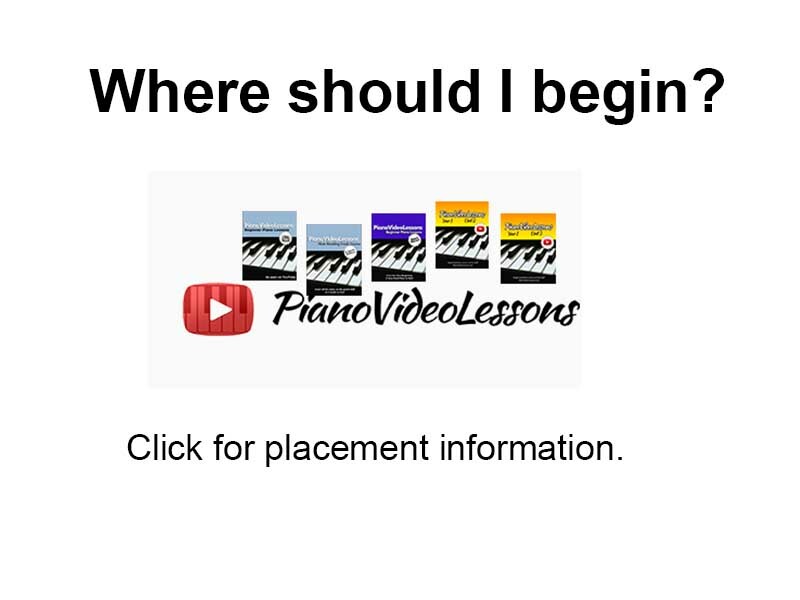 Or, simply follow along with the video lesson, found below.